America is known for its huge sporting venues, but only 4 make it into the worlds top ten biggest stadiums. Can you guess where the others are? There are numerous sports stadiums around the world that hold 100,000, but we have decided to highlight Melbourne Cricket Ground, due to its great history. The oldest of the stadiums on our list, it was built in 1853 with the first game of cricket played on 30 September 1854. Until the 1970s, up to 130,000 people could be crammed into the stadium, however renovations and safety regulations have since restricted the capacity to its current 100,000. Built for the 1998 Commonwealth Games, construction work began in 1992 and was completed 3 months ahead of schedule. The stadium is now the home of the Malaysian soccer team and hosts a variety of sporting and non-sporting events. With the ever growing popularity of sports in our society, it is no wonder professional sports have become an incredibly profitable profession. Us mere mortals could only ever dream of earning the millions that professional athletes earn in this day and age, so it made me wonder who are the highest paid athletes at the moment? Messi is the 3rd highest paid soccer player and half of his earnings come from Barcelona, then endorsements from Adidas, Pepsi, Konami, Audemars Piguet, Chery & Air Europa top up his yearly earnings. The most decorated driver in F1 history (mainly with Ferrari) has endorsements with DVAG, Jet Set, Navy Boot, Audemars Piguet, Schuberth and Rosbacher. For most people, Andy Williams’ classic yuletide carol “It’s the Most Wonderful Time of the Year” is belted out in December and forgotten about for the next eleven months. For me, the record makes a return in mid-March when I start filling out my March Madness brackets. To give a more comprehensive view of the tournament, we’ll take a look at a few different teams and players off of the casual fan’s radar and I’ll even throw in the requisite Final Four prediction. Montana 67, Wisconsin 62. Wisconsin’s strategy is to slow the game down and limit the number of possessions in a game; they are 263rd in the nation in scoring but somehow managed 24 wins. In just about every offensive category, Wisconsin is in the bottom third of the NCAA. In Wisconsin’s 24 wins, only three times did the opponent score more than 60 points; Montana averages 70.6ppg. Basically, this game will turn into a race to that 60 point mark, and I think Montana will get their first with their outstanding shooting (47% from the field). The USPGA Tour came to an end last night in Miami, Florida, with Englishman Justin Rose claiming top spot over the gloriously named Bubba Watson and Irish sensation Rory McIlroy. Starting the day 3 shots behind Watson, Justin Rose played some stupendous golf to overtake the American and finish 16 under par. With Watson choking at the 18th, missing a 10 foot birdie putt, and Tiger Woods pulling out injured. It was left to Rose and McIlroy to provide a late charge for the trophy. With McIlroy just falling short, Justin Rose, proving that experience counts for a lot, outshone the other contenders as he held his nerve, and claimed his 4th career PGA Tour win. Another great post from IYS about the different roles you can play in a team and how they can change over time. 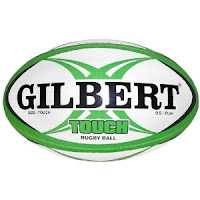 Touch rugby, or 'touch', is played by people of all ages and skill levels. Introduced from the Southern Hemisphere in the 70s, touch is a fast, evasive, minimal contact sport. For many Americans, rugby, or for the younger generations touch rugby, seems like a game of football gone completely wrong. Yet there are many similarities between the two sports. Rugby combines the tactical elements of football with the quicker pace of soccer, resulting in a fast, action packed game. Touch rugby is a rather simplified form of the full game. It has developed from rugby league but now exists as a sport in its own right. 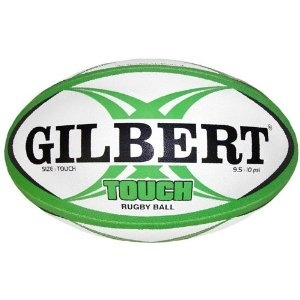 Touch requires very little equipment – essentially a ball and a field. It is important when coaching any sport to young children that you are clear and concise with your coaching points. Nose, toes, throw is a simple rhyme to encourage children to develop the correct throwing technique. Nose: Look at the target before throwing (encourage young players to point at their target). Toes: Take one step forward towards the target.